For some time now, we’ve been aware that things are over between Lil’ Mo and soon-to-be ex-husband, Phillip Bryant. But what we didn’t know is why the couple finally decided to s-plit. The “R&B Divas: LA” star recently stopped by Power 105.1’s The Breakfast Club and finally spilled the beans regarding their impending di-vorce and the events that led up to it. “When we film and by time Y’all get the footage, it is like months later. So he [Phillip] texted me in December and was like, ‘Yeah, by January everything will be done.’ He was supposed to serve me some paperwork,” Mo explained. However, there was a bit of confusion after she relocated, so she wound up filing for di-vorce in Baltimore at a later date. She also confessed to getting an ab-ortion towards the end of her relationship with Phillip. 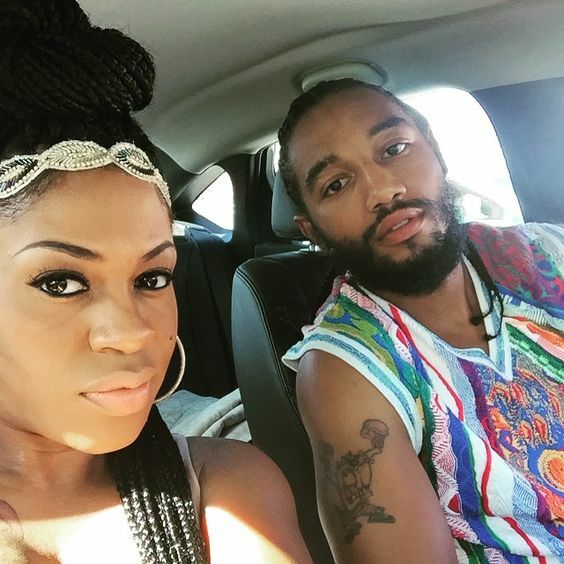 As for being ready to marry new boyfriend, Karl Dargan, Mo says she’s still not accepting just being someone’s girlfriend. Naturally, inquiring minds would like to know what went wrong in her marriage to Phillip. While Mo does admit to ch-eating on her estranged husband, she argues that it was only in retaliation because he ch-eated first. As for how she found how Phillip was ch-eating, the singer-turned-reality says she discovered his infidelity in the middle of one of their three-somes.